This latest reboot posits a moral conflict over Superman’s earthly versus Kryptonian loyalties, yet it manages to extract little from them but a lot of brawling, and does nothing new with the character. The invading Krypto-fascists seem like a broad church. The badass ninja-chick-card-carrying-psychopath berates the hero for the weakness his moral sensibilities engender, while the socially conscious General Zod proclaims he’s is doing it all for his people. The ride is fast, noisy and long, with lots of bangs, crashes and little thought for respite or suspense. “Up, up and away” has been reduced to a chi-focussing bellow. 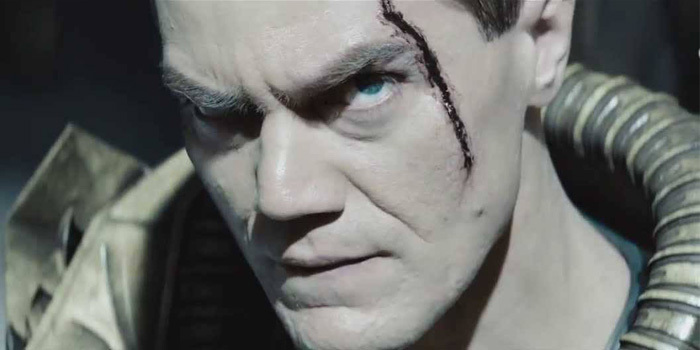 Michael Shannon gets a strategic career boost as the villainous Zod but looks uncomfortable with not being dealt any good lines, but then no one else is either. Rusty Crowe reprises a throaty Maximus baritone to serviceable effect.